Photomicrography of freshwater microscopic invertebrates and algae. Culex sp. 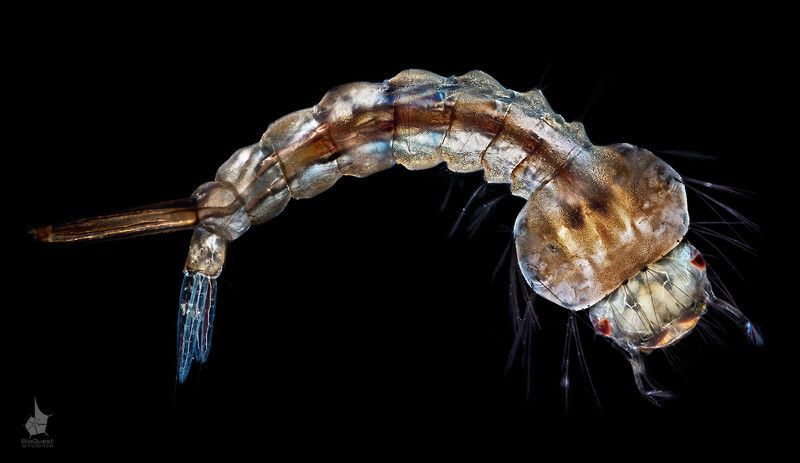 - a mosquito larva, the size of the insect is roughly 1 cm (0.4 in). . The image is exceptionally detailed and shows a high amount of detail up close.